As Switzerland prepares to vote on a referendum this month to decide whether the Swiss National Bank (SNB) should hold 20 percent of its reserves in gold, gold bulls have flagged the vote as stimulating for the precious metal’s prices while economists and policy makers have warned that a “Yes” would have bad consequences for the Swiss economy. Under the “Save our Swiss gold” proposal, the SNB would be forbidden from selling any of its gold reserves and would need to hold at least 20 percent of its assets in gold, requiring a significant purchase of bullion. It would also demand that all the gold be stored in Switzerland itself – about 30 percent of the nation’s gold is held abroad right now. More than 50 percent need to vote in favor for the proposal to succeed. A new opinion poll showed on Wednesday that support for the initiative slipped to 38 percent down from 44 percent last month. Supporters of the proposal believe that it would keep the Swiss franc stronger, but government officials and bankers say a “Yes” vote would raise unemployment and the risk of recession. 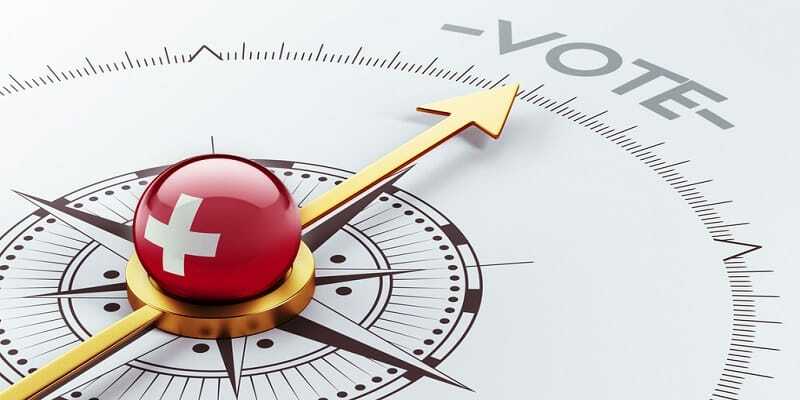 “If Switzerland voted yes the biggest impact would be more physical gold buying, and that would see the price pop up quite significantly,” said IG analyst Stan Shamu. Axel Merk, president and chief investment officer of Merk Investments who recently published a commentary regarding the gold referendum told Kitco News that the referendum is also a discussion about the role of the central bank. The people of Switzerland, he said, are fed up with the SNB imposing economic policies on them. Since 2011, the SNB has maintained a 1.20 per euro price cap for the franc – a “backdoor euro policy” that most Swiss have already voted against, said Merk. The referendum “has set gold and foreign exchange markets on edge,” and drew criticism from the SNB, reported Reuters. “The SNB couldn’t fulfill its mandate of securing price stability or buffer major shocks to the economy as well as it currently does,” Swiss central bank Chairman Thomas Jordan told Swiss reporters before Wednesday’s poll. The problem is, according to economist and gold-standard supporter Keith Weiner, that the SNB has a significant amount of its portfolio in euro-denominated loans, and a strong franc could “erode” the bank’s capital to the point that it goes bust. Nobody wants their buying power to be eroded, but that’s what governments and central bankers do – they debase national currencies to ensure that big banks haul huge profits, under the theory that that will bring prosperity for everybody. But as banks are raking profits – six of the 20 most profitable companies in the world are banks, with four based in China, and two based in the U.S. – the global economy is still in the toilet. If they really want to protect their buying power and wealth from the franc’s debasement, instead of relying on the government, the Swiss people might be better off creating personal gold reserves for their families. Are your family’s savings protected from our government’s policies? Click here to request our FREE information kit to learn more about gold as a hedge against inflation. Will Swiss referendum save the gold price?